Gustavo Adrián Cerati (11 August 1959 – 4 September 2014) was an Argentine singer-songwriter, composer and producer, considered one of the most important and influential figures of Ibero-American rock. Cerati along with his band Soda Stereo, were one of the most popular and influential Spanish-language rock and pop groups of the 1980s and ’90s. Cerati was the recipient of many awards throughout his career including various Grammys, MTV awards, as well as the MTV (Latin America) Legend Award with Soda Stereo, the first of its kind. Cerati died on 4 September 2014 at the age of 55, after suffering a stroke four years earlier in Caracas, Venezuela which resulted in a coma, when Cerati had gone out to party at the rock club Moulin Rouge, located on Francisco Solano López Avenue in the Sabana Grande area of Caracas. Cerati was born on 11 August 1959 in Buenos Aires, Argentina. He grew up in a middle class household; his paternal family was of Lombard descent and his maternal family was of Irish origin. His father was an accountant and regularly traveled abroad. From his early memories he had an idyllic love of the sun and nature. Cerati’s first passion was art and in elementary school he drew comics and created his own comic book characters. Los que me pegaron en ese momento fueron Hendrix con "Purple Haze" y The Who con "Pictures of Lily". Durante semanas los escuché sin parar. Ahí se me despertó el deseo de tocar, de armar un grupo (English: The ones who struck me at the time were Hendrix with "Purple Haze" and The Who with "Pictures of Lily". For weeks, I listened non-stop. That is when the desire to play, to start a band, was awakened). He was more advanced in everything, he smoked marijuana and had many records. At that moment I started to separate myself from my classmates. I started listening to Progressive rock because this guy had everything, King Crimson, Frank Zappa, Deep Purple, Led Zeppelin, Yes, Soft Machine, Roxy Music...My dad used to travel abroad on business trips and he started bringing me records. In 1973 it was not easy to have imports. In Argentina the records came out a long time after....they came out. My father brought me my first imported guitar, a Gibson. I went to meet him at the airport and it was unforgettable. After serving compulsory military service in 1979 Cerati entered the university to pursue a degree in marketing, something that he was not passionate about. His family supported him with his music, "Mi familia me vio tan enloquecido con la música, que pensaron que algo de éxito iba a tener" (My family saw that I was so crazy about music, that they thought I would have some success [with it]). At the Universidad del Salvador, a Jesuit university in Buenos Aires, he met Héctor "Zeta" Bosio, also a marketing student. The two hit it off and decided to form a band. They were fans of The Police, The Beatles, XTC, Elvis Costello, Television, and The Talking Heads. In 1982, after various lineup changes that included Richard Coleman, Daniel Melero, and Andrés Calamaro as well as others, Bosio and Cerati recruited Charly Alberti as their drummer, thus forming Soda Stereo. Soda Stereo signed to Sony Music in 1984 and released their debut LP Soda Stereo that same year. Nada Personal ("Nothing Personal") followed in 1985 giving Soda Stereo their first hit with "Cuando pase el temblor" ("When The Shaking Is Past"). Soda released Signos ("Signs") in 1986, Doble Vida ("Double Life") (produced by longtime David Bowie collaborator Carlos Alomar) in 1988, and Canción Animal ("Animal Song") in 1990. During the 1990s Soda Stereo released Dynamo in 1992, Sueño Stereo ("Stereo Dream") in 1995, and their final album Comfort y Música Para Volar ("Comfort and music to fly with") in 1997. In 1992 Cerati recorded Colores Santos ("Holy Colors") with electronic musician Daniel Melero, a longtime Soda Stereo collaborator. 1993 saw the release of Cerati's first solo album Amor Amarillo ("Yellow Love"), which included the participation of Zeta Bosio and Cerati's wife at the time, the Chilean singer, actress, and model Cecilia Amenábar who sang and appeared on the video for the lead single "Te llevo para que me lleves" ("I'll take you so you can take me"). In 1995 Gustavo Cerati teamed up with three Chilean musicians, Andrés Bucci, Guillermo Ugarte, and Christian Powditch, to form Plan V. Plan V released two albums Plan V (1996), and Plan Black V Dog (1998), a collaboration with the British electronic music group The Black Dog. In 1999 Cerati formed the electronic duo Ocio with longtime Soda Stereo collaborator and trumpeter, Flavio Etcheto, releasing Medida Universal. Around this time Cerati participated in the album Outlandos d'Americas: A Rock en Español Tribute to the Police collaborating with Andy Summers of The Police and Vinnie Colaiuta (Frank Zappa, Sting), on a cover of The Police's "Bring on the Night," (Spanish: Traeme la Noche). Bocanada ("Puff") was released in 1999 and was regarded as Gustavo Cerati's proper debut as a solo artist. It was recorded in Estudio CasaSubmarina (Cerati's home studio) in Buenos Aires. Cerati used an MPC to record many of the tracks. The 48 piece orchestra in "Verbo Carne" was recorded in Abbey Road Studios in London. The album was also mixed and mastered in London at Townhouse Studios. Bocanada' immediately reached gold status in Argentina and received many accolades in the Argentinian and Latin American press. The album was universally praised for its grandeur and its beauty and is still considered by critics and fans alike as Cerati's magnum opus. The veteran Mexican rock critic David Cortés Arce had this to say about it, "Bocanada is a fundamental album in the history of Iberoamerican Rock, in general, in all of the Spanish speaking countries." In 2001 Cerati made his foray into film with the score for the movie +Bien ("+Good"), in which he acted in as well. The film was an independent movie directed by Eduardo Capilla, and starred Ruth Infarinato, VJ for Latin MTV. Cerati's wife at the time, Cecilia Amenábar, also played a small role in the film. The soundtrack was nominated for an award in the category of best instrumental pop album at the 3rd Annual Latin Grammy Awards. In August 2001 Cerati held a private concert in the historic Avenida Theatre in Buenos Aires. He was accompanied by a 42 piece orchestra conducted by Alejandro Terán. The recording of the concert was released as 11 Episodios Sinfónicos ("Eleven Symphonic Episodes") and consisted of seven arrangements of Soda Stereo classics and four of his solo songs played entirely by orchestra. Cerati took 11 Episodios Sinfónicos on the road, playing Mexico City, Caracas, Santiago, and finishing it off with three shows at the Gran Rex theater in Buenos Aires. The CD was well received by critics and fans alike and a live DVD was eventually released. In November 2002 Cerati released his third studio album Siempre es Hoy ("It's Always Today"). Cerati enlisted the help of producer/ engineer Sacha Triujeque and Antonio "Toy" Hernández of the Mexican Hip hop group Control Machete. The album was a departure from the slow tempo, Trip hop of Bocanada and +Bien, and the dramatic orchestration of 11 Episodios Sinfónicos. The songs on the album varied from pop/rock to radio friendly electronic rock. The tour for Siempre es Hoy extended as far as New York and Chicago. In 2003 Cerati released Siempre es Hoy: Reversiones ("It's Always Today: Re-versions") an album of remixes of Siempre es Hoy tracks from different Latin American Musicians and the German producer Wechsel Garland. Simultaneously, Cerati teamed up with longtime collaborator Flavio Etcheto, and Leandro Fresco to form the self-described "power laptop trio" Roken, which he played in concurrently during the Siempre es Hoy tour. Roken's non-conventional approach focused on improvisation and writing of songs in real time. They played in various festivals throughout Latin America as well as in underground clubs in the United States. In 2004 "Canciones Elegidas 93-04" ("Selected Songs 93-04") a double album compilation of Cerati's solo work was released simultaneously in Spain and Argentina. The release was followed by a small tour of Mexico, Argentina, Chile and Spain. After working for much of 2005 on new material, Cerati released Ahí Vamos ("There We Go") in April 2006. Co-produced by longtime Soda Stereo collaborator Tweety González, Ahí Vamos marked Cerati's triumphant return to guitar rock. For the recording of Ahí Vamos, Cerati was accompanied by longtime collaborators, Richard Coleman, Fernando Nalé, and many others. The album was mixed by Héctor Castillo, a prolific engineer whose credits include David Bowie, Lou Reed, and Aterciopelados, to name a few. The album was mastered by Howie Weinberg at Masterdisk in New York City. Ahí Vamos was lauded by fans and critics alike as a return to form for Cerati. The Ahí Vamos tour traveled through Latin America, the Caribbean, the United States (where he played in New York's Central Park), Spain, and on 12 October 2006, Cerati played London, England for the first time in his career. The album was showered with accolades and awards, receiving eight Gardel (equivalent of a U.S. Grammy) nominations in Argentina and winning all but one of the nominations, a first for any Argentinian artist. In the Viña del Mar International Song Festival Cerati was awarded the top prizes, "Antorcha de Oro," (Gold Torch) and the "Gaviota De Plata" (Silver Seagull). It was the most nominated album during the 2006 Latin Grammy awards as well as the MTV Latino awards. Cerati won three Grammys, for best Rock Vocal, best Rock song, and one for best producer with his production work on Shakira's Fijación Oral, Vol. 1 (Oral Fixation, Vol. 1). Ahí Vamos also topped the "best of" lists in the Argentinian press and he was even awarded a prize by the City of Buenos Aires for his contribution to Argentinian culture. Cerati closed the Ahí Vamos tour with a massive open air show in Buenos Aires, held on the corner of Avenida Alcorta and Pampas. The free show was attended by 200,000 people. 2007 also saw the reunion of Soda Stereo. The subsequent comeback tour Me Verás Volver ("You will See Me Return") consisted of 22 concerts in nine countries: Argentina, Chile, Ecuador, Mexico the United States, Colombia, Panamá, Venezuela and Perú. The tour was attended by more than one million fans and broke attendance records in various cities. In July 2007, Cerati participated in the Live Earth Festival in Hamburg Germany, alongside Shakira. Besides working with Shakira, Cerati contributed to, Argentinian producer, musician, and two time Oscar winner, Gustavo Santaolla's album Mar Dulce ("Sweet Sea"). Cerati sang on "El Mareo" the second single on Santaolalla's Mar Dulce which was recorded at Electric Lady Studios in New York City. 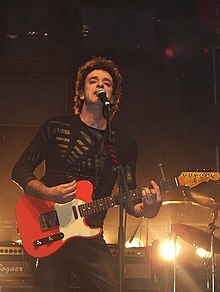 In 2008, Cerati released a DVD version of Ahí Vamos and performed in various festivals throughout Latin America alongside, Shakira, Fito Páez, and Gustavo Santaolalla. In late 2008 Cerati recruited many of the same musicians who worked on Ahí Vamos to begin work on his new album. In March 2009, Cerati and his band traveled to Stratosphere Sound in New York City and Looking Glass studios to record tracks for Fuerza Natural ("Natural Force"). Notable contributors included Héctor Castillo, Session drummer Sterling Campbell whose resume includes David Bowie, Cyndi Lauper, and Duran Duran, Didi Gutman of Brazilian Girls, bassist and lap steel guitarists Byron Isaacs, and keyboardist Glenn Patscha. Fuerza Natural was a marked change from the riffing of Ahí Vamos and the electronics of Bocanada and Siempre es Hoy. The collections of songs focused on a cleaner, more acoustic pop sound, as well as folk and Neo-psychedelia. Rolling Stone Argentina took notice of this, "pero es más folkie, más espacial y más acústico, con una legión de guitarras, mandolinas y dobros que levantan polvo sobre las programaciones" (English: but it is more folkie, more spatial and acoustic, with a legion of guitars, mandolins, and dobros that sprinkle dust on the sequencers). Similar observations were made by Mariano Prunes writing in AllMusic, "Fuerza Natural has a curious sequencing structure, as it seems to be organized in stylistic batches. It begins with a trio of bona fide Cerati hits in that suave, effortless manner that always suited him so well; it then switches to a surprising but rather unsuccessful bluesy/folksy diptych. Regardless of the mixed reviews, Fuerza Natural entered the charts in Argentina, Mexico, and Chile at No. 1. It is the first Cerati album to be sold in digital format in Argentina through MusicPass as well as was iTunes. The album sold 40,000 copies in Argentina on its first week of release and 500,000 albums worldwide. In 2010 Cerati was awarded a Latin Grammy for "Best Rock Song." The Fuerza Natural tour kicked off on 19 November in Monterrey Mexico. Cerati played Stadiums and large venues in Mexico, Argentina, Peru, Chile, The United States, Uruguay, Colombia and Venezuela, 21 shows in total. Cerati's final show was held in Caracas, Venezuela on 15 May 2010. Cerati suffered a stroke immediately after the show. Gustavo Cerati maintained a very low public profile and not much is known about his private life. Cerati's first wife was Belén Edwards, an Argentine designer whom married in 1987 and divorced in 1989. In 1992 he married the Chilean model, actress, and singer Cecilia Amenábar. Their marriage lasted for ten years and they had two children Benito Cerati Amenábar, also a singer and musician, and Lisa Cerati Amenábar. After his divorce from Cecilia Amenábar Cerati dated the Argentine model Deborah del Corral, ex-girlfriend of Soda Stereo drummer Charly Alberti whom she dated in the 1990s. She also sang in Alberti's side project Plum. In 2008 Cerati started dating the Argentine actress Leonora Balcarce. While they broke up in late 2009, she remained friendly with him and his family, visiting his bedside throughout his coma. Cerati met Argentinean model Chloe Bello during the summer of 2009, when she was 22 years old. Despite the age difference, the two of them became involved. Cerati invited Bello to attend the launch of Fuerza Natural in Mendoza and subsequently joined him on an international tour. Due to work obligations, Bello left his side before Cerati travelled to Caracas, where he suffered the stroke that led to a coma, complications from which eventually cost him his life four years later. On 15 May 2010, Cerati suffered a stroke following his performance in Caracas, Venezuela. He was hospitalized in Centro Médico La Trinidad in Caracas under medical surveillance. Three days later, Cerati underwent surgery to relieve pressure on his brain due to the stroke he suffered. On 7 June 2010, Cerati was transferred to the FLENI Neurological Institute in Buenos Aires. Doctors immediately treated Cerati for a respiratory tract infection. The following day, doctors reported extensive brain damage due to the stroke. Cerati fell into a coma sometime before. He was maintained on life support hoping for a recovery. A month after the stroke, Claudio E. Pensa M.D., medical director of the FLENI Neurological Institute, issued a statement to the press stating that Cerati's medical condition remained unchanged and that he would only provide new information if changes were to occur. On 2 December 2010, a statement was issued by ALCLA Clinic's medical director stating that, neurologically, Cerati was reacting to thermal stimuli. On 14 May 2014, the family released a statement to commemorate the fourth anniversary of the stroke. It included a medical report by Gustavo Barbalace M.D. stating: "Mr. Gustavo Cerati remains hospitalized (...) without any serious complications, in good nutritional shape and without lesions due to immobility. Neurologically there's no significant changes and remains under mechanical respiratory aid." After four years in a coma, Gustavo Cerati died from respiratory arrest on the morning of 4 September 2014 while on life support. Immediately after his death, Cerati's doctor stated to the media "Gustavo died with dignity without any pain, without any wounds." His body was buried at La Chacarita Cemetery in Buenos Aires. While performing at Rock in Rio Madrid on 5 June 2010, Colombian singer Shakira dedicated her song "Sale el Sol" to Cerati. It was her first live performance of the song which became the title track of her ninth studio album. During their U2 360° Tour, Irish rock band U2 paid tribute to Cerati during a concert in La Plata, Argentina, on March 2011. The tribute came during the intro to "Moment of Surrender". Bono said "We would like you to think about Gustavo Cerati. We send him our love and respect, and he will hear our voices tonight." The 60,000 fans attending the show at the Único Stadium gave him a standing ovation. Swedish rockers Roxette performed the intro of "De Música Ligera" before their song "Joyride" in one of their shows in May 2012. The crowd sang the first verse of the song. British rock band Coldplay paid tribute to Cerati by performing “De Música Ligera” on the final concerts of their A Head Full of Dreams Tour in La Plata, Argentina, on 14 November 2017. ^ Rohter, Larry (7 September 2014). "Gustavo Cerati, a Star of South America's Pop Scene, Dies at 55". New York Times. Retrieved 24 September 2014. ^ Otoala, Jorge A. (5 September 2014). "Argentina's Grammy-winning Gustavo Cerati dead at 55". Reuters.com. Reuters. Retrieved 24 September 2014. ^ Kraul, Chris (8 September 2014). "Gustavo Cerati, beloved Argentine rock star, dies at 55". Los Angeles Times. Associated Press. Retrieved 24 September 2014. ^ "Cerati: el estilo de vida del rockero argentino antes de su colapso - Edición Impresa". Edición Impresa (in Spanish). Retrieved 4 June 2018. ^ "Cómo fueron los últimos años de Gustavo Cerati" (in Spanish). RollingStone. 5 December 2014. Retrieved 4 January 2015. (...) que la llamara a la tía Dora, la hermana de Juan José, que sabía mejor la historia de cómo los Cerati habían llegado a Argentina desde Mozzate [Lombardía], un pueblito al norte de Italia. ^ "Gustavo Cerati y su canción más personal: la emotiva historia detrás de Té para tres". Ciudad.com.ar (in Spanish). 4 September 2014. Retrieved 4 January 2015. Se trata de Té para tres, una hermosa balada de Soda Stereo, cuya letra hace referencia a una reunión que mantuvo el rockero con sus padres, Juan José Cerati y Lilian Clark. (...) Y continuó emocionada: “Estábamos tomando el té porque en casa nunca faltó el té, como buena heredera de irlandeses que soy. Estábamos los tres, Gustavo, mi marido y yo. ^ Rosso, Alfredo. "Gustavo Cerati Bocanada Respira un Nuevo Aire y Expulsa Viejos Demonios". Rolling Stone Argentina (in Spanish). S.A. La Nacion. Archived from the original on 1 July 1999. Retrieved 25 September 2014. ^ a b c d e f g h Saez, German. "Cerati.com: Biografia". Cerati.com (in Spanish). Retrieved 25 September 2014. ^ Amilicar, Nani (4 September 2014). "Los grandes amores de Gustavo Cerati". Clarin (in Spanish). Retrieved 25 September 2014. ^ "¿Cuál fue el "Plan V" de Gustavo Cerati en los 90?". Guioteca: Que Quieres Saber (in Spanish). Empresa el Mercurio. 2012. Retrieved 24 September 2014. ^ Van Der Gugten, Rogier. "Outlandos d'Americas: A Rock En Espanol Tribute to The Police – various artists". Rogier's The Police Page. ^ "Semana Ceratiana: Bocanada". Escritores Circulares (in Spanish). Retrieved 25 September 2014. ^ MFH. ""Bocanada", el mejor disco de Gustavo Cerati". El Economista. Retrieved 24 September 2014. ^ Cortés Arce, David; González, Yayo; Galvez, Demián. "'Bocanada' es considerado el mejor disco de Cerati". Excelsior (in Spanish). InventMX. Retrieved 24 September 2014. ^ "Más bien (2001)". IMDb.com. Retrieved 24 September 2014. ^ Adaime, Iván. "Reversiones/Siempre Es Hoy". Allmusic.com. Retrieved 24 September 2014. ^ "Otros Proyectos: Roken". Cerati.com (in Spanish). ^ "Hector Castillo: Credits". Allmusic.com. All Media Network, LLC. Retrieved 24 September 2014. ^ "Gustavo Cerati, Talented And Beloved Argentinian Rocker, Dies After Four Years in Coma". Fox News Latino. Associated Press. 4 September 2014. Retrieved 24 September 2014. ^ "Las colaboraciones inolvidables de Gustavo Cerati en la música Artistas como Roger Waters, Shakira y Café Tacvba, entre muchos otros, compartieron el escenario o el estudio con el músico fallecido" (in Spanish). Cable News Network. CNN Mexico. 5 September 2014. Archived from the original on 6 September 2014. Retrieved 25 September 2014. ^ "Gustavo Cerati: Fuerza Natural: Credits". Allmusic.com. Retrieved 25 September 2014. ^ Plotkin, Pablo. "Gustavo Cerati – Fuerza Natural". Rolling Stone Argentina (in Spanish). Retrieved 25 September 2014. ^ Prunes, Mariano. "Gustavo Cerati: Fuerza Natural". Allmusic.com. Retrieved 25 September 2014. ^ a b c Almicar, Nani (4 September 2014). "Los grandes amores de Cerati". Clarin (in Spanish). Retrieved 25 September 2014. ^ "Soda Stereo: en la historia de la música". El Dia (in Spanish). El Dia.com. Retrieved 30 September 2014. ^ "Estado de salud de Gustavo - Cerati.com". Noticias.cerati.com. 18 May 2010. Retrieved 2 March 2012. ^ "Cerati ya está en el país y aseguran que sigue estable". Clarin.com. Retrieved 2 March 2012. ^ "Gustavo Cerati tiene "extenso" daño cerebral e infección respiratoria". Semana (in Spanish) (1691). Retrieved 30 September 2014. ^ "CERATI.COM | Noticias oficiales | Cuatro Años 02/12". Noticias.cerati.com. Retrieved 14 May 2014. ^ "Argentina's Grammy-winning Gustavo Cerati dead at 55: local TV". au.news.yahoo.com. 4 September 2014. Archived from the original on 5 September 2014. Retrieved 4 September 2014. ^ "¡Gracias totales Gustavo Cerati! Muere el mítico líder de Soda Stereo" (in Spanish). mexico.cnn.com. 4 September 2014. Archived from the original on 4 September 2014. Retrieved 4 September 2014. ^ "Argentina says good bye rock star Cerati". The Monterey Herald. Digital First Media. 5 September 2014. Archived from the original on 6 September 2014. Retrieved 6 September 2014. ^ Navas, Judy Cantor (13 December 2013). "Tributes To Gustavo Cerati: 10 Cover Songs To Watch". Billboard. Prometheus Global Media. Retrieved 18 January 2014. ^ "Bono en Argentina: No olviden a Gustavo Cerati". Elcomercio.pe. Retrieved 2 March 2012. ^ "El homenaje de Roxette a Gustavo Cerati". TNShow. Retrieved 14 December 2012. ^ "Amor Amarillo". Cerati.com. Retrieved 2 March 2012. ^ Birchmeier, Jason. "Gustavo Cerati: Credits". Allmusic.com. All Media Network, LLC. Retrieved 30 September 2014. ^ "El tema inédito de Cerati junto a Roger Waters, Shakira, Pedro Aznar y Eric Clapton". La Gaceta (in Spanish). 30 September 2014. Retrieved 30 September 2014. Wikimedia Commons has media related to Gustavo Cerati. "En la Ciudad de la Furia"
"Ella usó mi cabeza como un revólver"
This page was last edited on 12 April 2019, at 10:19 (UTC).